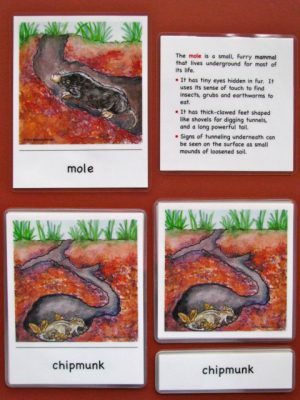 An introduction to animal life in, on and around a pond. 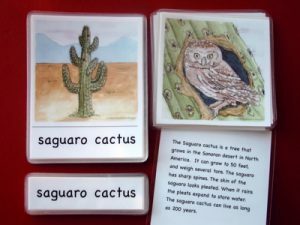 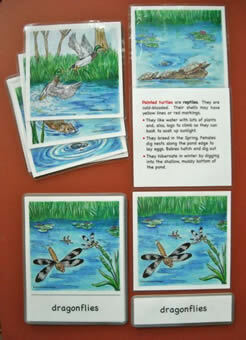 8 laminated, three-part cards with facts on reverse of picture card: whirligig beetles, Canada geese, painted turtles, frogs, minnows, dragonflies, mallard ducks, muskrats. 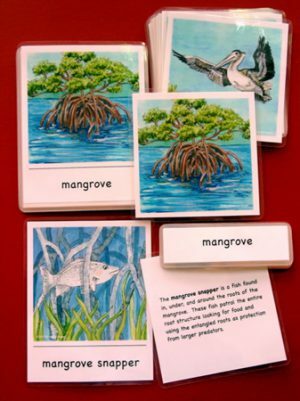 Facts are leveled – Present first paragraph description & classification to the youngest student. 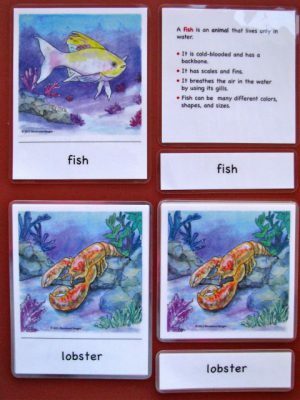 Add more facts when child is ready.